Join Dr Ramkumar through South India on an informative and practical guide to Ayurveda as we spend days marveling at the rich heritage of India and spend evenings in deep conversation about the ancient science of Ayurveda. Garner the knowledge of well-being which has been refined over hundreds of generations, practice of which is assured not just for us but our decedents. Who better to lead us through this ancient land and this ancient science than Dr Ramkumar? Dr. Ramkumar who hails from a traditional Ayurveda family, has been occupied in education and strengthening Ayurveda his entire professional life. He is Founder-Director of Punarnava Ayurveda, an institute with the objective of “creation and sustenance of health for the global community in a cost-effective manner through Ayurveda and other traditional medical knowledge systems”. Previously he was Director of the Ayurvedic Trust in Coimbatore, India, a 100–bed hospital, giving treatment based on pure Ayurveda. During this period, the hospital was acknowledged and recognized as one of the five best Ayurveda hospitals in India. As Executive Director of Arya Vaidya Pharmacy, a 60 year old authentic Ayurveda institute based in South India and Member of the Ayushman Ayurvedic Trust, Dr. Ramkumar was specifically involved in Good Manufacturing Practices for their pharmacies which produce in excess of 400 Ayurveda medicinal formulations for use world over, creation of a network of Ayurveda centers to increase Ayurveda awareness and promoting good health in a number of countries, and creation, and, sustenance of a 4-year long program titled “Tatwaprakashini” based on the gurukula model specifically for overseas undergraduate students of Ayurveda. Dr. Ramkumar has given numerous presentations and held extensive workshops on Ayurveda to groups of patients, doctors, professionals, including the University of Virginia (USA), Columbia University (USA), Bharatiya Vidya Bhavan (USA), World Economic Forum (India), Young Professionals Organization (Kenya), and others in Italy, Sweden, Malaysia, and Australia. Clearly, his knowledge of manufacturing, amalgamation ofAyurveda into the rigorous life-style of the Western world, and recognition as a teacher of Ayurveda, makes him a sought after teacher, and the ideal leader of this tour. Our travels will take us through the palace city of Mysore, then the temple cities of Somnathpur, Belur and Halebid. Come into contact with Gods and Goddesses in the form of ancient and intricate statues. Onto Nagarhole National Park where you will float on the River Kabini on Coracles (flat bottom saucer shaped boats). Spend the next five days in vaidyAgrama actually experiencing what Dr Ramkumar has talked about during your tour. Onto to Kerala, the State which saw the advent of Christianity, Judaism and Islam into a predominantly Hindu India. End your time in India, away from the heat and dust by spending a day in the backwaters of Kerala as your house boat meanders past small villages, schools and normal way of life, with your crew cooking your meals, just the way you like them cooked. We will spend the days sightseeing, and most of the evenings in discussions with Dr Ramkumar while on tour, and specialist Ayurveda physicians when we are at vaidyAgrama. October 1, Depart The Americas. Overnight: On board your flight. October 2, Bangalore. Arrive late at night. Representatives of Spiritual Journeys will meet you at Bangalore airport and transfer you to your hotel. Overnight: Bangalore. October 3, Bangalore. After breakfast, we depart for Mysore by road a journey of 4-5 hours. Spend the rest of the day sightseeing in Mysore. A discussion on Ayurveda this evening. Overnight: Mysore. October 4, Mysore. Spend the day sightseeing in Mysore and Somnathpur. A discussion on Ayurveda this evening. Overnight: Mysore. October 5, Mysore. Spend the entire day at the temple cities of Belur and Halebid. Overnight: Hassan. October 6, Nagarhole National Park. Depart by road for Nagarhole National Park, a drive of 2 hours. Check into the forest rest house. Take a safari into the forest on elephant back (if available, or a 4-wd drive vehicle), and go on the coracles on the River Kabini. A discussion on Ayurveda this evening. Lunch and dinner included. Overnight: Nagarhole. October 7, Nagarhole National Park. A dawn safari into the forest, returning for breakfast. After breakfast, depart by road for vaidyAgrama Ayurveda facility, Coimbatore, a journey of 5 hours. Meet your physician, and plan and start your treatment for your stay. A discussion on Ayurveda this evening. Lunch and dinner included. Overnight: vaidyAgrama. October 8, Coimbatore. Continue Ayurveda based treatment & Yoga. A discussion on Ayurveda this evening. Lunch and dinner included. Overnight: vaidyAgrama. October 9, Coimbatore. Continue Ayurveda based treatment & Yoga. A discussion on Ayurveda this evening. Lunch and dinner included. Overnight: vaidyAgrama. October 10, Coimbatore. Continue Ayurveda based treatment & Yoga. A discussion on Ayurveda this evening. Lunch and dinner included. Overnight: vaidyAgrama. October 11, Cochin. After your treatments in the morning, depart by train for Cochin, a journey time of 5 hours. A discussion on Ayurveda this evening. Lunch included. Overnight: Cochin. October 12, Cochin. Sightseeing in Cochin. In the evening, experience a Kathakali dance presentation.A discussion on Ayurveda this evening. Overnight: Cochin. October 13, Cochin. Drive to Alleppey (2 hours) and embark on your houseboat ride in the back waters of Kerala. We will spend the night onboard, and all our meals prepared for us by the staff, are included. Overnight: House Boat. October 14, Alleppey. Disembark your house boat at Allepey, and depart for Cochin by road, a journey of 2-3 hours. Transfer directly to the International terminal (or domestic terminal if flying out form another airport within India) for your flight home, late tonight. Overnight: On board aircraft. Tour from $ 2,699.00 - land only; airfare to and from India is additional (estimated $1,300). "Single Room" is available at an additional cost of $ 835.00. Price is per person in US funds based upon double occupancy. Fees increase on June 1 then again on September 1. $500 non-refundable deposit required with registration. To register, fill the Registration Form and e-mail to Deepak Singh. 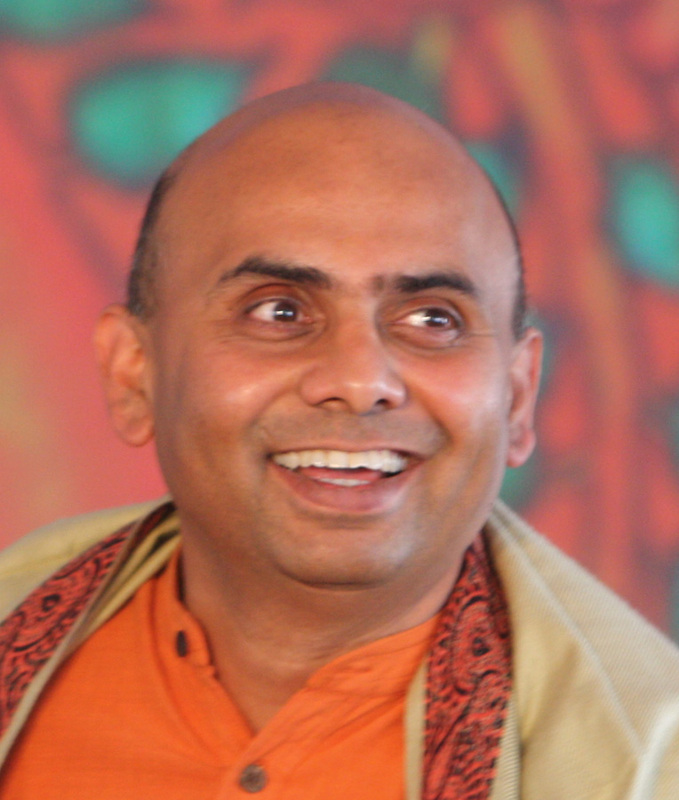 E-mail: Deepak Singh, Spiritual Journeys, Inc., 262 Upland Road, Cambridge, MA 02140. USA. Ph: 508-358-4267.